Eating organic foods whenever possible has been shown to reduce your exposure to toxic substances, such as pesticides. But food is just one source to consider when evaluating all of the possible toxins in your kitchen. In my book, Living in the Chemical Age, I lay out many other contaminants in our water, air, cleaning products, and the vessels we use to cook and store our foods. 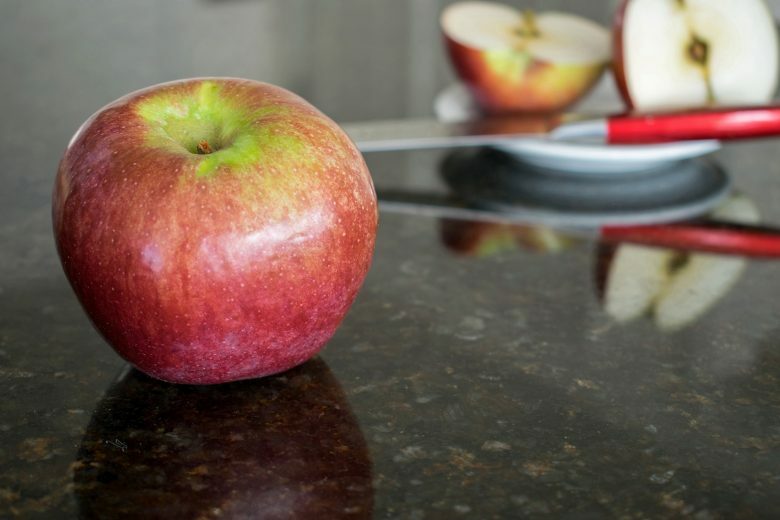 Here are 12 lesser-known toxins that may be lurking in your kitchen — and how can you avoid them in order to keep your family safe. 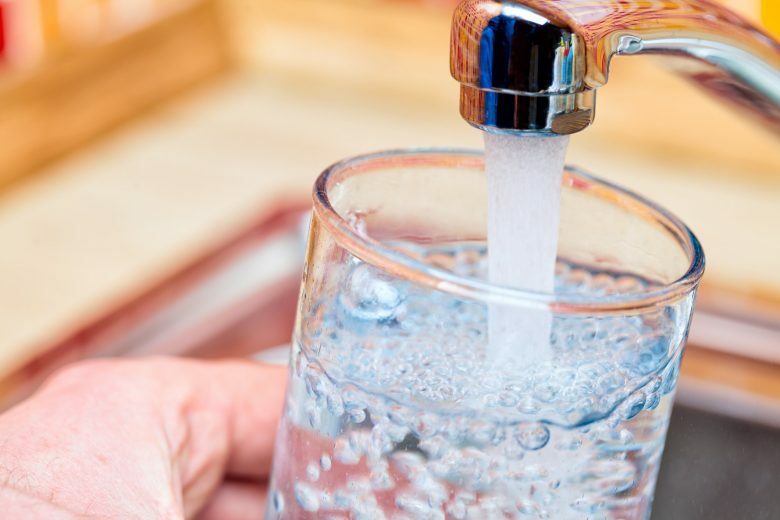 All municipal water suppliers use chlorine or chloramine (chlorine plus ammonia) to disinfect water, so the tap water that flows from your kitchen sink may contain chloramine. The problem is that chloramine is a respiratory irritant and is known to cause asthma in its vapor form (such as a steaming pot of water on the stove). Chloramine is also corrosive and can leach lead from pipes. Filter your water using a multi-step filtration system, preferably a granular-activated carbon filter followed by a reverse osmosis filter. Remember to filter your shower water as well. Image Credit: naumoid / iStock. 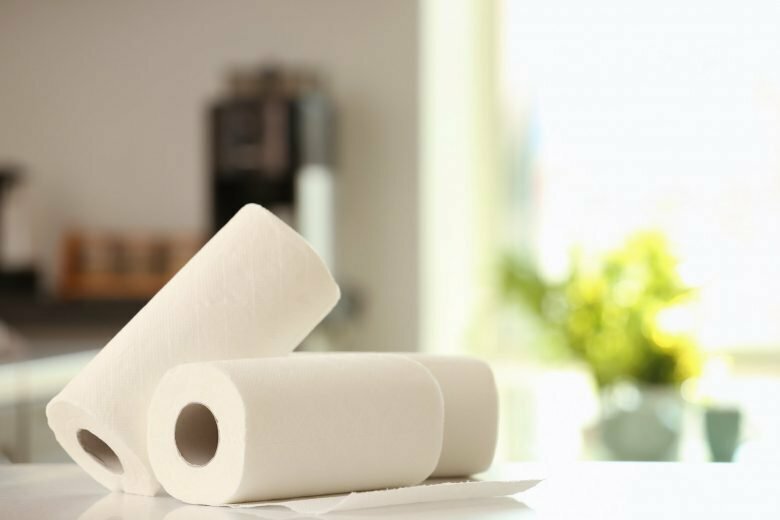 Dioxin is found in paper products (such as paper towels and napkins) that have been bleached using a chlorine process. Dioxin is one of the most toxic chemicals known, and is formed as a by-product of the paper bleaching process. Dioxin is fat soluble and bioaccumulates in the body. Buy unbleached paper products, or at least those that have been whitened without chlorine bleach. Image Credit: belchonock / iStock. 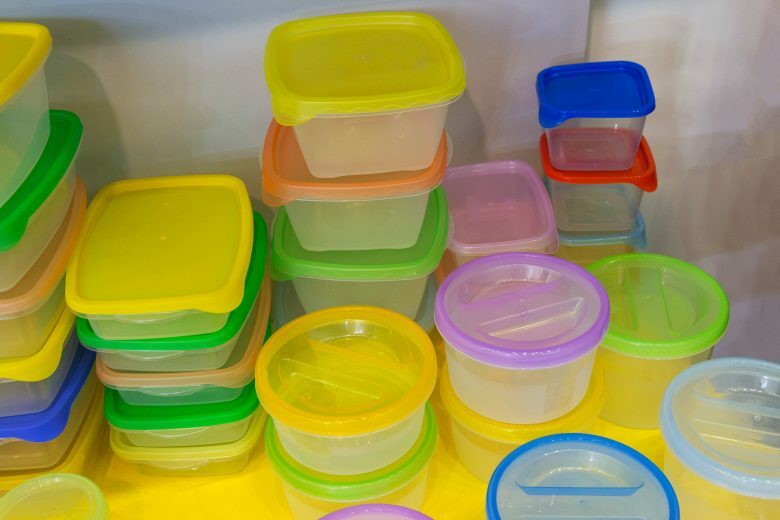 Phthalates are found in many items, but in the kitchen, they are commonly found in plastic wrap, vinyl flooring, and numerous types of flexible plastic. Phthalates are endocrine disruptors and have been linked to reproductive harm and early puberty in girls. 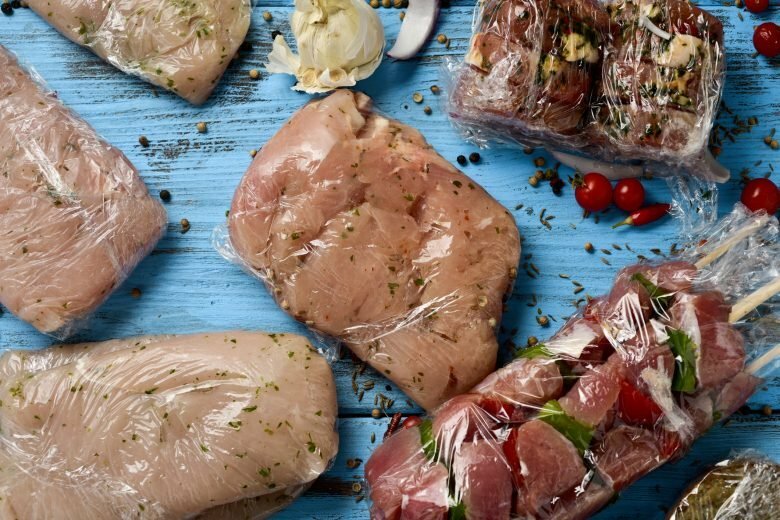 Since phthalates are everywhere and we’re exposed on a daily basis, the best way to reduce exposure is to avoid the use of plastic packaging for food and beverages. Image Credit: nito100 / iStock. Kitchen cabinets and flooring made from pressed wood use glues that contain formaldehyde. Formaldehyde is a carcinogen that off-gases from pressed wood. 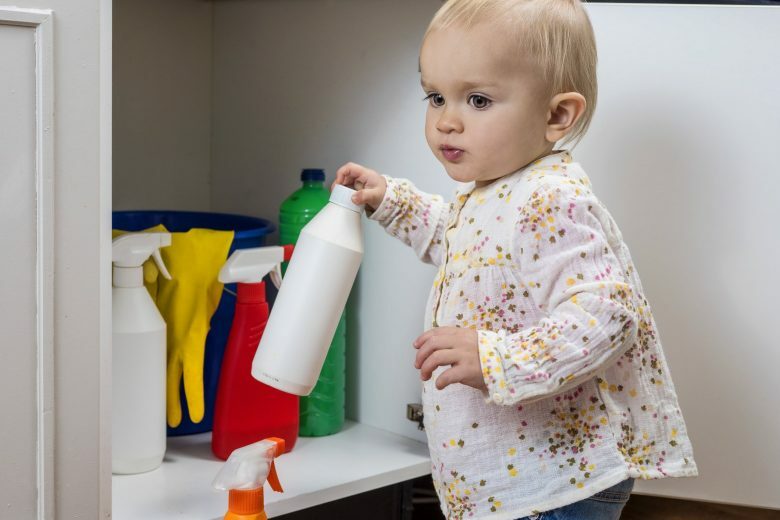 Long-term exposure to airborne formaldehyde without adequate ventilation causes irritation to the eyes, nose, throat and lungs It has even been linked to leukemia. 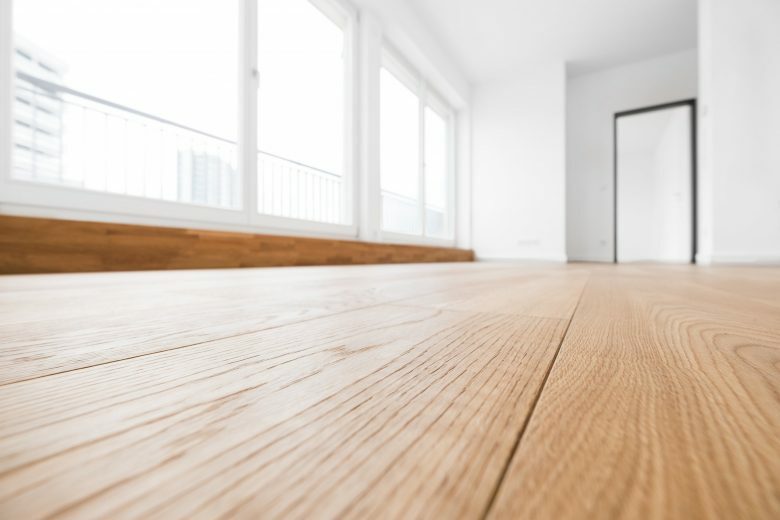 Choose natural materials such as real hardwood for cabinets, and stone or ceramic tile for flooring. Image Credit: hanohiki / iStock. Fragrances are used to scent a variety of cleaning products, including dish soap, hand soap and countertop cleaner. The word “fragrance” is a catch-all term for a list of ingredients considered proprietary to the manufacturer. That one word fragrance can contain any of the 3,000+ ingredients used by the fragrance industry, many of which are carcinogenic or endocrine disrupting chemicals. Choose unscented dish soaps and cleaning products or choose brands that use essential oils as a way to scent their products. Avoid those that list “fragrance or parfum” on the ingredient list. Image Credit: red_pepper82 / iStock. Radon is often found in homes with granite countertops. Since some granite naturally contains varying concentrations of uranium, radium or thorium, these radioactive elements will decay into radon, which is an odorless, colorless, radioactive gas. Buy an inexpensive radon test kit at a home improvement store if you have granite countertops. It is possible to have radon removed from the home but it requires professional assistance. Image Credit: JudithLang / iStock. Bisphenols are found in plastic food and beverage containers and in the inner lining of canned foods. Bisphenols are endocrine disrupting chemicals that have been associated with thyroid and reproductive problems, obesity, heart disease, and higher cancer risks. To reduce your exposure to bisphenols, buy foods and beverages that are sold in glass as opposed to plastic and cans. Image Credit: DmyTo / iStock. 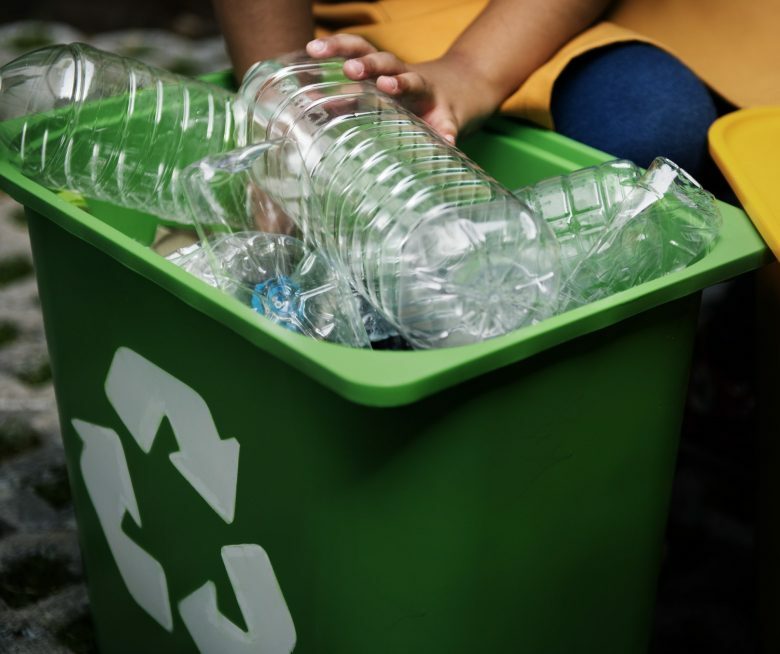 PET is used to make plastic water bottles and other food and beverage containers that have the recycling symbol No. 1. PET is an endocrine disrupting chemical and has been linked to thyroid and reproductive problems. Carry your own reusable glass or stainless steel bottle of filtered water from home. Buy foods and beverages in glass containers, as opposed to plastic, whenever possible. Image Credit: Rawpixel / iStock. If you enjoy microwave popcorn, know that it likely contains Diacetyl, a toxic chemical that helps to give it that buttery flavoring. When inhaled, Diacetyl vapors are well known to cause lung damage. 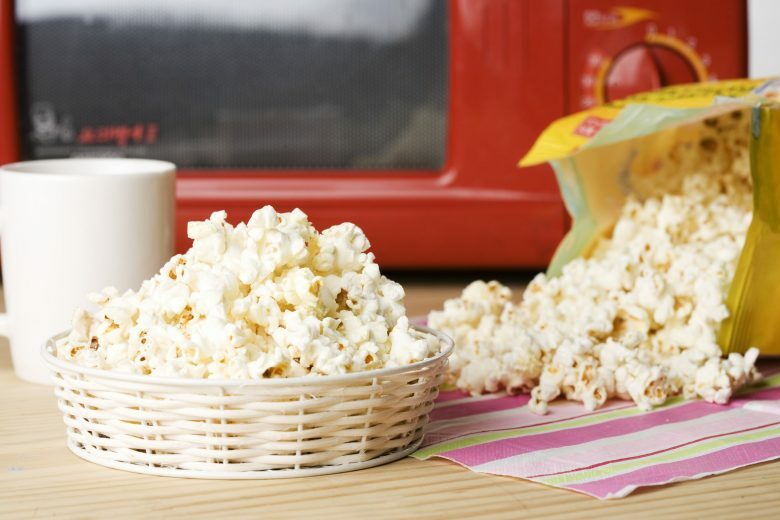 Instead of popping corn in the microwave, make your own popcorn on the stovetop with organic popping corn and coconut or avocado oil in a large pot with a lid. Add a bit of melted butter and you have a delicious treat without damaging your lungs. Image Credit: st_lux / iStock. 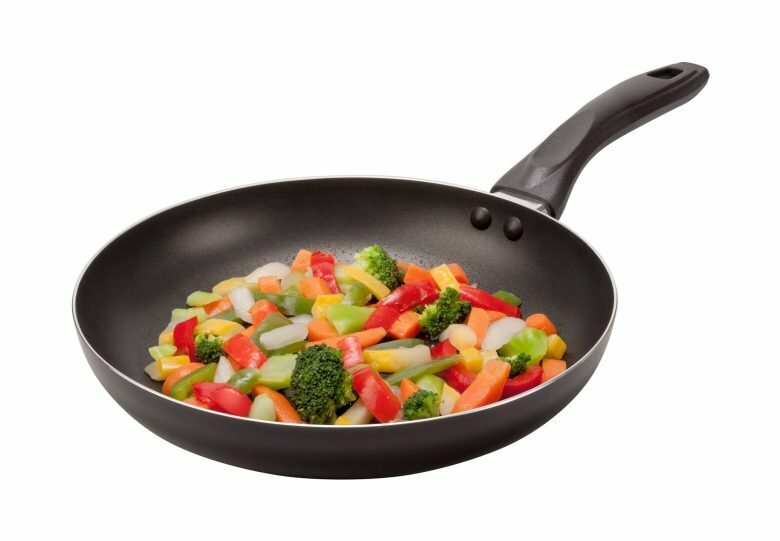 PFCs such as PFOS, PFOA and PTFE are found in nonstick coatings on pots, pans, fast food wrappers, and the insides of microwave popcorn bags. PFCs are endocrine disruptors and have been linked to reproductive problems, as well as adverse effects on the liver and kidneys. To reduce your exposure to PFCs, choose to use stainless steel or ceramic pots and pans and avoid greasy foods wrapped in paper. Image Credit: rimglow / iStock. Triclosan is a common chemical used in antibacterial products, such as dish soaps and certain brands of cutting boards. Although the FDA removed triclosan from some antibacterial soaps due to its association with hormone disruption and antibiotic resistance, it is still found in many other products. Read the ingredient labels to avoid products that use Triclosan. Instead, choose soaps with natural antibacterial properties, such as those with the essential oils of citrus, peppermint, tea tree, rosemary or lavender. Image Credit: svengine / iStock. 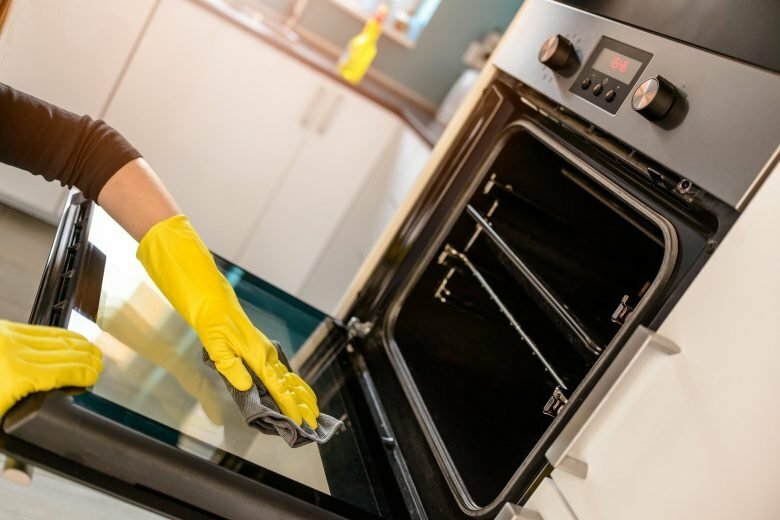 The strong petrochemical solvent 2-butoxyethanol is often found in glass cleaners and oven cleaners. The vapors of 2-butoxyethanol are extremely irritating to the throat and lungs, especially when used in a poorly ventilated area, and can even contribute to severe liver and kidney damage. 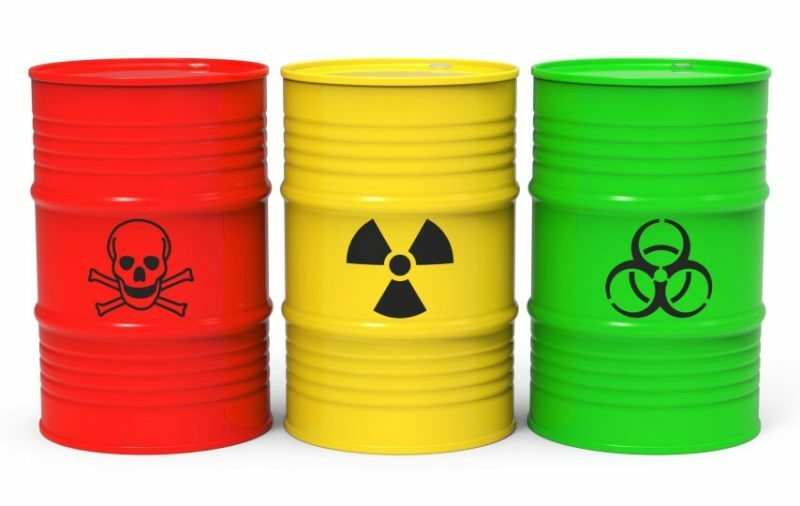 2-butoxyethanol is listed by the state of California as a “hazardous substance”. 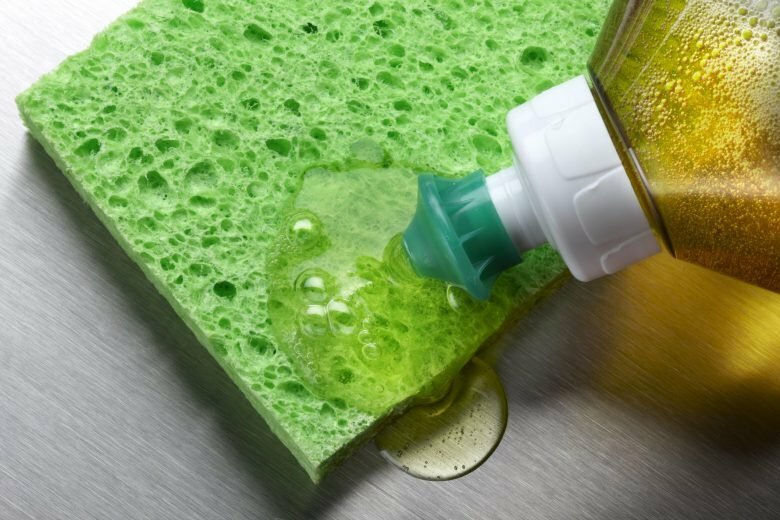 Look for non-toxic brands of glass cleaners that simply use water, plant based surfactants and essential oils. Or try one of the numerous online “recipes” for effective homemade cleaners.For cleaning glass, these recipes typically include vinegar and water. For ovens, try a recipe that includes baking soda and vinegar. You don’t need to expose yourself to unnecessary toxins in order to have a sparkling clean kitchen. This article was syndicated by MediaFeed.org, where it first appeared.